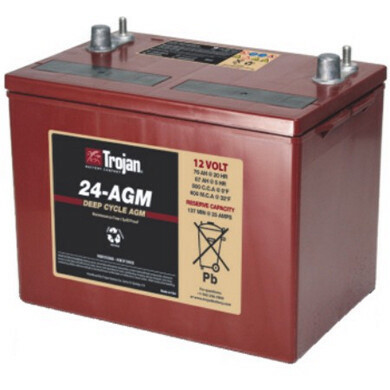 Type: Gel Deep cycle Ultra deep discharge recovery battery. Applications: Suitable for use with the Powerhouse Pro and Titan Range, Uno Golf buggy, and similar. Life expectancy*: 500-850 Cycles depending on terrain and charger type. Duration: 36 hole capacity depending on terrain and user weight. Warranty: This battery comes with full 18 months manufacturers guarantee.